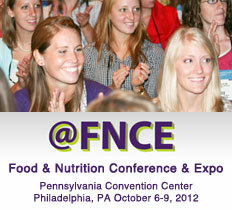 FNCE 2012: Are you Inspired? The AND Food and Nutrition Conference and Expo (FNCE) is kind of like Christmas in the nutrition and dietetics community. Four jam-packed days of interesting education sessions, networking and foodie events, and the inevitable attempt to fit as many free samples from the Expo into our bags as possible. But aside from the whirlwind of activity, what has and always will make FNCE the extraordinary experience that it is every year, is the energy, the people and the newfound sense of drive you feel every time you leave. As part of the Executive Board of the Nutrition Entrepreneurs Dietetic Practice Group, our theme at the conference this year was “Declare Your Passion.” I had the amazing opportunity to meet and network with registered dietitians who have found a way to take their passions and incorporate it into a career that is both emotionally and financially fulfilling– I’m pretty sure not many other professions can say that! 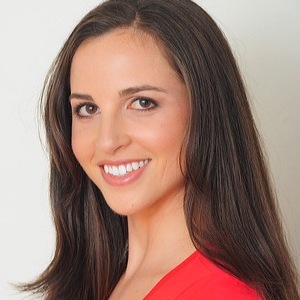 From supermarket dietitians, to authors, to social media gurus, to research experts (just to name a few!) there was never a shortage of colleagues to talk to and learn from. FNCE is about celebrating collaboration, not competition. This weekend I saw friends reconnecting, long-lasting business relationships being formed, and students interacting with their mentors. We shared ideas, we asked questions, and we motivated one another. The one buzz word that kept being tossed around to describe the 2012 FNCE experience was “inspired,” and I couldn’t agree more. In essence, FNCE to me this year served as a reminder of how truly lucky we are to be in a profession where we can make whatever career we want. There are no limits, there are no boundaries–we get to wake up looking forward to going to work every day! I’ve already started outlining my 2013 “career to-do list” inspired by my interactions with fellow dietitians this weekend, and I can’t wait to experience it all over again next year in Texas! Hi, I am a nutrition student. How I am able to connect with other students at Newyork? where is the adress of EXPO? Hi Rosie: There are student groups available to you. As a member of the Academy of Nutrition and Dietetics, students are allowed to join any DPG group. You can also use your membership to find groups to get involved with in New York. Also there is a new student group called TUND. It is a group for students and interns under the age of thirty to network together. It includes students from all over the country. Also, the FNCE conference mentioned in this blog post was in Philadelphia last weekend. Next year, it will be in Houston, October 19-22, 2012.